Save valuable time and schedule your next Certified Service online! 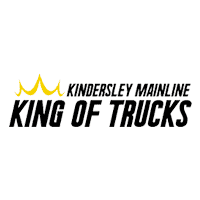 Kindersley Mainline Chevrolet Buick GMC is conveniently located in West Central Saskatchewan and offers auto maintenance and auto repairs with Chevrolet Certified Service, Buick Certified Service and GMC Certified Service for all current and past GM models in Kindersley. From regular maintenance, including oil changes and tire rotations to unexpected repairs, our Certified Service Experts are here to help. Book your next Certified Service Appointment online with the confidence of our 30-day price match guarantee! Ask your service advisor for full details and about special savings on our exclusive seasonal maintenance packages!